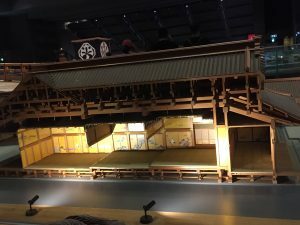 6/2 Daigofukuryūmaru Museum: Calling for Peace? After the end of WWII and during the cold war, the US, Japan, and other countries were having a large number of A-bomb and H-bomb testings and seeking for a peaceful use of nuclear power. Daigofukuryumaru (第五福竜丸) was near an H-bomb testing near Bikini Island, and its staff member Kuboyama was the first Japanese victim of an H-bomb. The reading we did for this Lucky Dragon No.5 had a lot of discussion about different stakeholders, including politicians, doctors studying radiation diseases, fishermen/citizens, and the media. A complicated incident with many political implications, the Lucky Dragon was oversimplified as a symbol of calling for no use of nuclear and world peace at the Daigofukuryūmaru Museum. 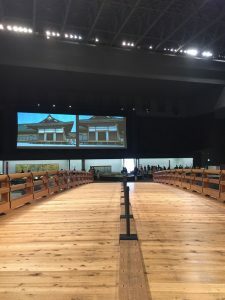 The museum takes the perspective of citizens and selected many exhibits that called for compassion, the heartbreaking picture of Kuboyama’s funeral, for example. 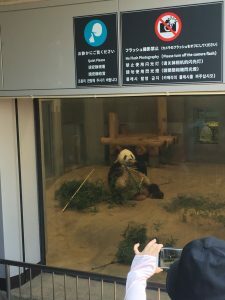 The picture captured Kuboyama’s children and family crying, especially the younger daughter. Children are a big part of the appeal: Kuboyama’s older daughter’s letter, encouraging letters sent to Kuboyama from all over the country, and moreover, the origami decorations sent by school children along with their wishes for peace/no nuclear bombing attached to the origami. The message is clear: think about our children. Because of the concern for family health and children of radiation contamination, women and housewives became leaders of the grassroots anti-nuclear movements after the incident of Lucky Dragon, while the government was trying to close the deal as soon as possible to get nuclear technology support from the US. The reading we did was very helpful for understanding the complexity of the incident and looking at the museum critically. Since we watched a documentary about the amazing forest of Meiji Shrine on our prep day 5, I have been looking forward to visiting Meiji Shrine and its 不思議な forest, which were created almost 100 years ago. Thanks to Selinger-sensei’s friend Noto-san, we had a wonderful lecture in the morning and an insider’s special experience with the ritual in Meiji Shrine. 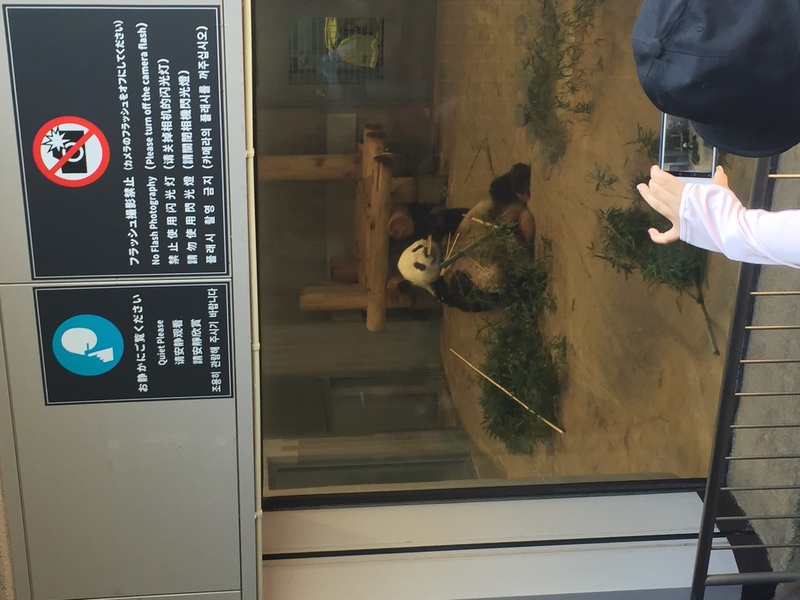 I was most impressed by the integration of Shinto in the daily life of the Japanese as well as the beautiful integration of Meiji Shrine in the city of Tokyo. Despite the other great parts of Noto-san’s lecture on what is Shinto and how to worship in a shrine, it especially interested me how Shinto very well engages Japanese people in daily activities. According to Noto-san, Japanese people go to Shinto shrines, Buddhism temples, as well as Christian churches under different occasions–they have no problem having rituals of multiple religions (if ignoring the question whether Shinto is a religion). Interestingly, Shinto shrines are usually related to good things like birth, festivals, and sometimes weddings, while Buddhism temples are most commonly related to funerals, and people also go to churches for weddings. Religions work well together in Japan, and I think it is partly because Shinto is lowering itself to people’s daily life, both physically and spiritually (I am using the terms very loosely here). As Noto-san introduced, the definition of Kami (the figure of worship) by Motoori Norinaga(本居宣長) is that “whatever seemed strikingly impressive possessed the quality of excellence and virtue, and inspired a feeling of awe” can be called kami. This definition is basically saying everything in our life can be worth of worship. 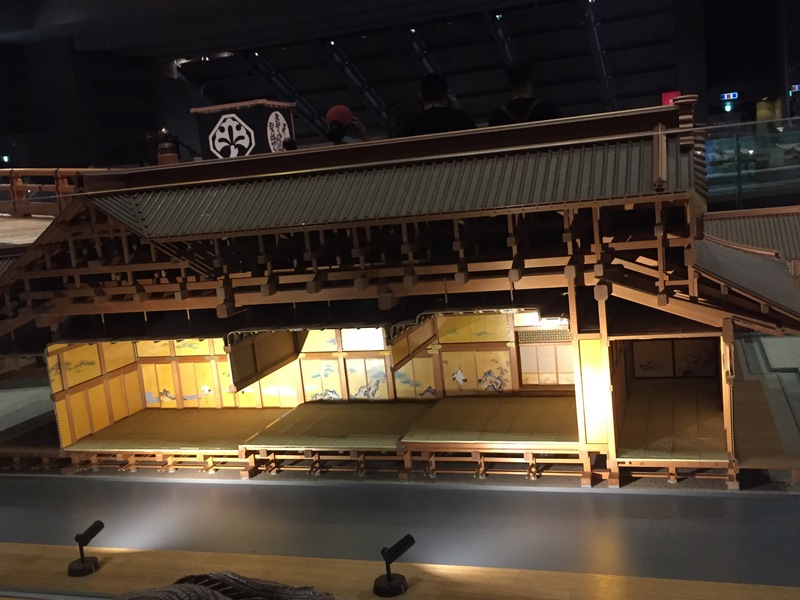 From this perspective, Shinto is embedding worshipping and rituals into people’s daily lives, and this could be shown by the small Shinto shrine Japanese people usually keep at home. The values of Shinto create a welcoming environment for Shinto followers to participate in rituals of other faith systems/religions, such as Buddhism. On the other hand, the setting and construction of Meiji Shrine is incredible in bringing people into the Shrine and practicing Shinto. As mentioned before, by the definition by Motoori, everything can be a kami. It was no wonder that many places and things in the shrine were “wrapped” by white paper straws and ropes: camphor trees outside of the hall and the rice field supplying rice that was given to Emperor Meiji and Empress Shoken, for example. 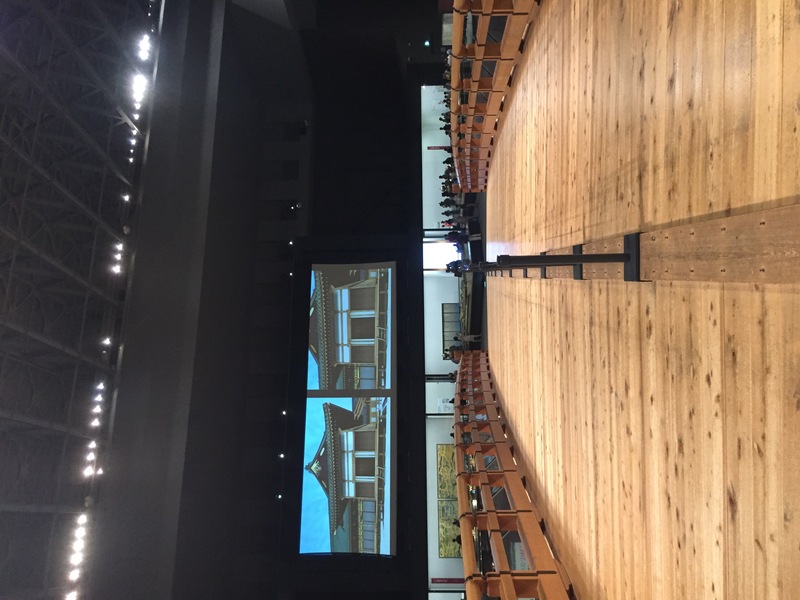 While surrounding kami by ropes is an act of establishing human contact and connection with kamis, the whole shrine can be seen as an act of creating human contact with Emperor Meiji and Empress Shoken, as the shrine and the outter guarding forest was manmade.